After registration opens, enrollment numbers for each Summer Session class will be updated daily and posted online. Campus will be closed and no classes will be held on July 4, to observe Independence Day. College Deans will make go/cancel decisions this year, informing RCE of their decision. A class roster for Summer 2018 (term number 2186) can be viewed at any time via the Faculty Center. Please inform RCE if any students are in your class but not on the roster immediately by email. Please inform RCE if a student misses more than 2 days during the first week by email. This may save the student loss of their enrollment fee in part or wholly. Once your class fills, students can add themselves to a waitlist through the portal until May 17 and by contacting RCE beginning May 18. If your class has a waitlist, a copy will be provided to you before your class starts. You may also view students on the waitlist by looking at your class roster in the Faculty Center, and changing “Enrollment Status” from “enrolled” to “waiting.” If you want to add students, please contact RCE 530-898-6105. Continuing Education will deliver Summer Teaching Agreements to the college office on or before April 19. Please review and sign the teaching agreement(s) and return them to the college office. Continuing Education staff will pick up the contracts from the college office on May 4. A signed contract is required prior to teaching. Your pay request will be submitted to Payroll within 7 business days of submission of grades. Payroll takes approximately 10 business days (2 weeks) to process the request, then approximately another 2-3 business days for the check to be available to you. Your summer session pay may be subject to retirement, social security/Medicare tax, and state and federal taxes. Sick leave will not be accrued during Summer Session per CBA 21.23 e. Should you have any questions contact the Payroll office, 530-898-6771. If you’re a non-CSU, Chico instructor, your pay can be requested once your grades have been submitted and the Human Resources office has processed your payroll documents. Faculty new to Chico State are required to successfully complete a Live Scan and complete payroll and personnel documents in the Human Resources Office (Kendall Hall, Room 222, 530-898-6435), including an Oath of Allegiance, prior to the beginning of employment, and must bring proof of identity and eligibility to work in the United States. Faculty who would like to volunteer for teaching a summer class may do so by completing a Volunteer Employee Form and submitting a copy to the Continuing Education Office and the original to the Human Resources Office. You are requested to upload your course syllabus and text book requirements starting April 13-May 25. We will then notify students that starting May 30 that they can access the course shell to obtain information on what is required of them for the successful completion of your class. Please contact your department to place textbook orders by April 1 according to federal mandate HEOA 2008. Any printed materials needed for your class should be arranged through or prepared by your department office. Grade rosters will be made available to instructors by the end of the class by session. Latest grade deadline is due by noon on August 24. Whenever possible, we schedule classes that are located in the same building as your office or one you have specifically requested. For room change requests, please email Dana Massetti at dmassetti@csuchico.edu. All faculty are expected to provide 15 aggregated office hours over the course of the three unit class, in addition to instructional hours (FPPP, 1.1E). 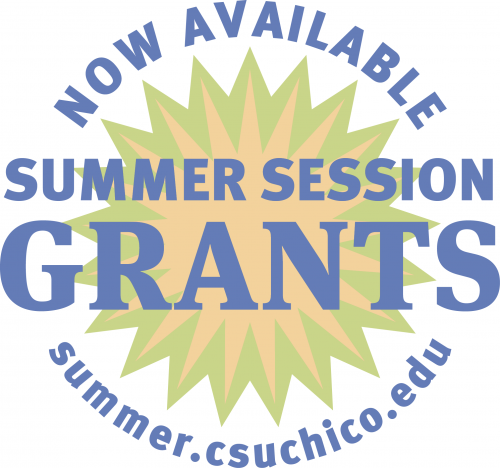 For more information please contact the Director, Special Sessions and Extension memcreynolds@csuchico.edu.